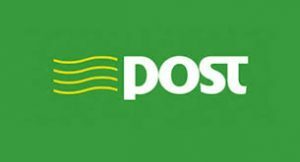 While any additional funding is welcome, the 30 million Euro announced by Minister Naughten to be put into the Post Office sector is only a sticking plaster solution and will not solve the problems in the long term. Unless a proper business plan for the sector, and particularly the establishment of a community bank is put in place, then there will be more losses and closures. It must be remembered that this 30 million Euro is a loan that must be paid back, and unless a comprehensive plan for the future of the sector is put into action there will be hundreds of closures around the country in three to five years time. The facts are that it is costing 78 million Euro per year to run the Post Office service. The Social Welface contract that used to yeild 60 million Euro per year is now only worth 50 million per year. It is a fact that the Post Office business is under pressure on a number of fronts and we need a long term business plan to be put into action immediately. Last November a motion in support of the Post Office sector was passed in the Dail with the full blessing of all parties and none. Included in that motion was the committment to establish a community bank but we have heard nothing about that since and it is crucial to the future viability of the Post Office sector in this country. I would ask the question why has this bank not been set up? It would appear to me that the Central Bank and the Government are preventing the establishment of this bank. Is it because AIB is up for sale? The main pillar banks that the taxpayers bailed out for 63 billion Euro have 95% of the market in this country. In Germany the main banks have 11% of the market while the rest are all community owned. In New Zealand there is a community bank ran by the Post Office sector that makes 100 million Euro profit per year so it can be done. With the main banks having abandoned a lot of rural communities there is certainly an opening to be exploited. It’s time the Government stood up and acted in the interests of the community they serve and not the main banks. Giving 30 million to the sector at the moment is like giving a loan to a person who has no job. They simply cannot pay that loan back. Let’s put profit making ventures such as a community bank in place now that will lead to a sustainable Post Office sector in the future.